It’s that time of the month year again! Last year’s blogoversary rocked because the magnificent Julie C. Gardner wrote me this guest post. And that, friends, was tremendous. Before we move forward, I feel compelled to report some statistics. First, there are only 54 days until my son’s bar mitzvah. Thanks, I can feel the love already! As I enter my third year in the blogosphere, I thought I would let you know some of the cool statistics I get to track. The post that still gets the most hits on a daily basis: In Fear of Lice. Strangely, that bugger gets over 70 views each day. And I wrote it back in June 2010. Go figure. Another wildly popular post is In Praise of the Pencil, proving that people have an irrational love for Ticonderoga pencils. That one was written in June 2011. Anyway, we are celebrating all month at Teachers and Twits. I have Friday guest posts from El Farris, David N. Walker, Iris Zimmerman & Ellie Ann Soderstrom — so be on the look out for those because they rock! Plus I have some serious cyberswag for y’all. Y’all know how we play my 100% bogus word game on the last Monday of the month based on my love of the book THE MEANING OF TINGO: AND OTHER EXTRAORDINARY WORDS FROM AROUND THE WORLD? Well, I wanted to give one of those books away. But wouldn’t you know it is out of print! Whaaaat? How dare they? Well, I ordered a “like new” copy, so I should have that to send to the person who wins May’s Made-It-Up Monday. My friend, author Kasey Mathews, is offering a copy of her new release PREEMIE. I got to read her memoir before it was even in book form, and all I can say is that this is a wonderful read for anyone who has had a difficult delivery — but especially for people who have given birth to preemies or micro-preemies. People who read this book will want to squeeze their children. PREEMIE reminds us that every day really is a miracle. 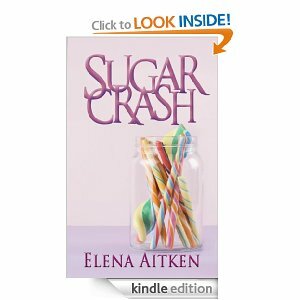 Author Elena Aitken is offering a download of her newest book SUGAR CRASH. I read it while I was on vacation. It is a must-read for anyone whose life has been impacted by Juvenile Diabetes. You will love Taylor and her mom, Darci. 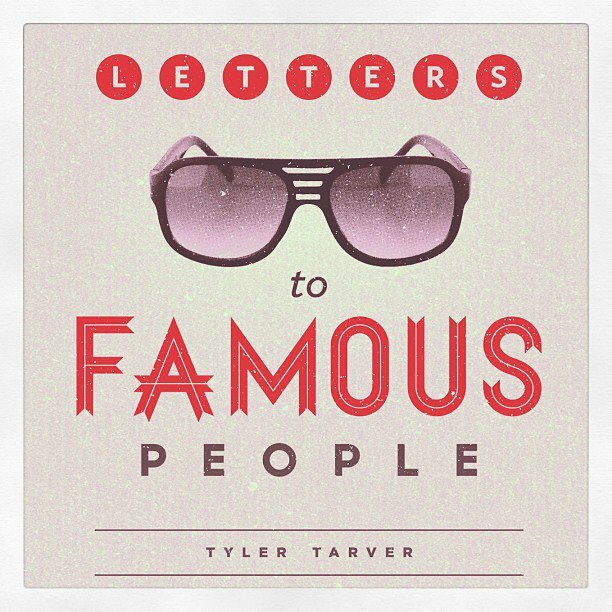 World famous author Tyler Tarver is offering a download of his newest release LETTERS TO FAMOUS PEOPLE. There isn’t much I can say about Tyler without his wife coming to git me. Dude is hot. Also, he is a math teacher. Oh, he makes great videos and comes up with some of the funniest similes, metaphors and analogies ever. I’m not sure he even knows he is doing it. I didn’t think math people could write the way Tyler does. Wow, I think might be mathist. But I guess the first step is admitting I have a problem. So I will. I can’t do math. Did I mention Tyler is hot? And oh yes! I have all these old New Years 2012 cards pretty stationery upon which I will write super creepy personalized messages to 3 lucky winners. You’ll see as we go along! So get psyched, my fellow twits. It’s kind of going to be like THE HUNGER GAMES — except not at all like that. I don’t think anyone is going to have to die. Probably. All winners will be determined by Random Number Generator and announced on June 1 (at which time there will be 22 days until my son’s bar mitzvah). I should probably start exercising or something. But let’s start with a little teaser right now. Would you like to receive a special something from me? 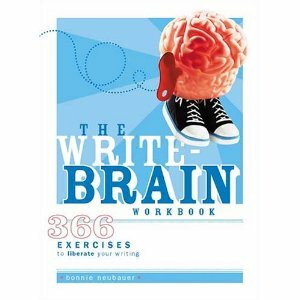 I have a copy of THE WRITE BRAIN WORKBOOK which features 366 writing exercises to help you exercise your creative writing muscles. Interested? If we were to get together for a blogoversary lunch, where would we go, and what do you recommend I order? For two additional entries: Tweet this post. For three additional entries, Facebook share this post. 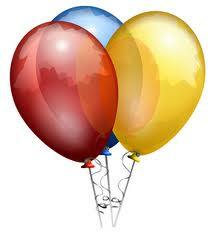 For five additional entries, mention my blogoversary on your own blog! Just be sure to link back to this page. For 20 additional entries, send a text message to my iPhone. Immediately after Thanksgiving, the blogosphere became crammed with posts about How to Find the Perfect Christmas Tree, and Elves on Shelves & What To Get Your Man for Christmas and lots of stuff about Why We Need To Keep Christ in Christmas. 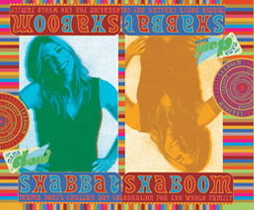 And that’s all cool and everything. Except I thought: I want some #HanukkahHoopla! So, I telepathically contacted Jewish bloggers from across the globe. No, seriously, I am good, but I can’t do that! But with a little networking via Twitter, I was able to connect with fifteen other Jewish bloggers, each of whom agreed to write something Hanukkah-ishy. Taken together, you will see we represent a broad range of Jewish experience. Some of us are Reform. Others are Conservative. Some are Orthodox. Some of us have converted to Judaism. Two of us are rabbis! Some of us keep kosher; others, not so much. We have enjoyed getting to know each other, and this was truly a group effort. So look for our button. And leave us comments that will make us kvell. •a Bag of Streit’s chocolate Hanukkah gelt. I don’t mean to point out the obvious but that’s sixteen chances to win, people! You’ll find more information about winning our #cyberswag on individual blogs. If you click on it, you should will be magically transported by Jewish unicorns to this page and then you can figure out who has posted and who will be posting next. For those of you on Twitter, look for the hashtag #HanukkahHoopla because we’ll be tweeting each others’ tushies off between December 20-28. Below is the schedule for who will be posting and when as well as everyone’s Twitter handle. You can comment on anyone’s blog all the way until the end of the 2011. Winners will be posted on our own blog pages, but they will also be posted here! Congratulations to all our winners, and thanks to all our readers!